Organize the closets, the garage, and the kitchen cabinets? No, we are organizing the DB2 database on the STORServer backup appliance. Upgrade to TSM server V7.1 or higher to take advantage of the most advanced features of DB2 reorganization. If a table requires reorganization, you will see the following message ANR3497W, “Reorganization is required”. This warning message requires your attention. Contact STORServer support. Why is database reorganization needed? The DB2 database may be nearly full and reorganizing the database can free space for growth. After deleting large amounts of data from a backed up server, you should ensure the DB2 database tables and indexes are reorganized. The preferred database reorganization method is online reorganization. If you experience locking problems or unacceptable server performance degradation during online reorganization, online reorganization can be disabled. While online reorganization is running in the back ground, the STORServer backup appliance continues to operate without interruptions. Online reorganization uses preset parameters such as start time, duration and exclusions. 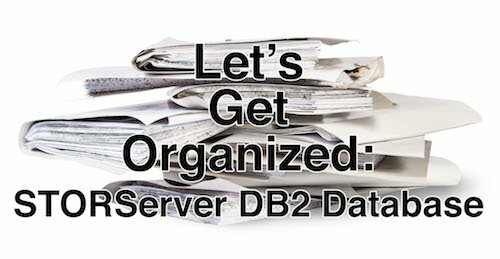 Some DB2 tables and indexes cannot be reorganized while the STORServer backup appliance is running and offline reorganization must be used. The offline reorganization process runs at a rate of about 500 million rows per hour and can be stopped after each table to reduce downtime. Offline reorganization is approximately 100 times faster than online reorganization. When should databases be reorganized? 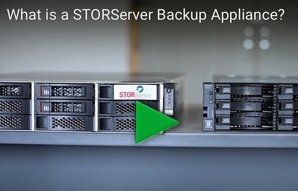 The STORServer backup appliance provides information messages when tables need to be reorganized. STORServer support will assist to determine if offline reorganization is necessary. Who should reorganize the database? STORServer support consultants will work with you to complete the offline reorganization of the DB2 database on the STORServer backup appliance. How can you resolve database reorganization issues? STORServer support will assist you with disabling reorganization, obtaining the status of reorganization and setting reorganization options to maximize performance. Some appliance workloads will leave insufficient resources for online database reorganization to complete. STORServer support will assist to resolve this by using offline reorganization. ← Is the Backup Appliance Extinct?